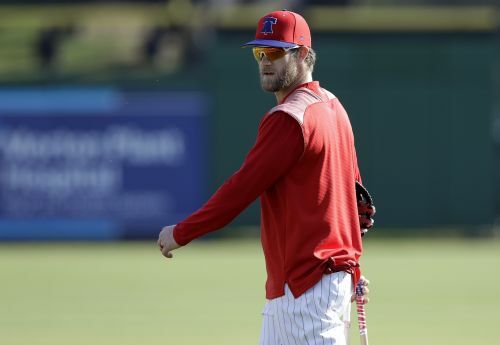 TAMPA, Fla. (AP) — Bryce Harper went 0 for 2 against New York Yankees opening day starter Masahiro Tanaka on Wednesday night in his third spring training game, and first on the road, since signing baseball's biggest contract with the Philadelphia Phillies. "I said, 'Hey, it's spring training, can I stay here?'" Harper said. "(The umpire) said get to first. I tried. I would have liked to get that last at-bat, for sure."